In an ideal world, fitness trackers would be micro-sized health labs on your wrist that collect all of your data with perfect precision. Unfortunately, it doesn’t always work like that. The accuracy of Fitbit gets better each year, but it’s not quite yet possible to shrink tens of thousands of dollars worth of lab equipment into a bracelet-sized device. Wearable tech companies like Fitbit hinge their product's success on the idea that their trackers are reliable. 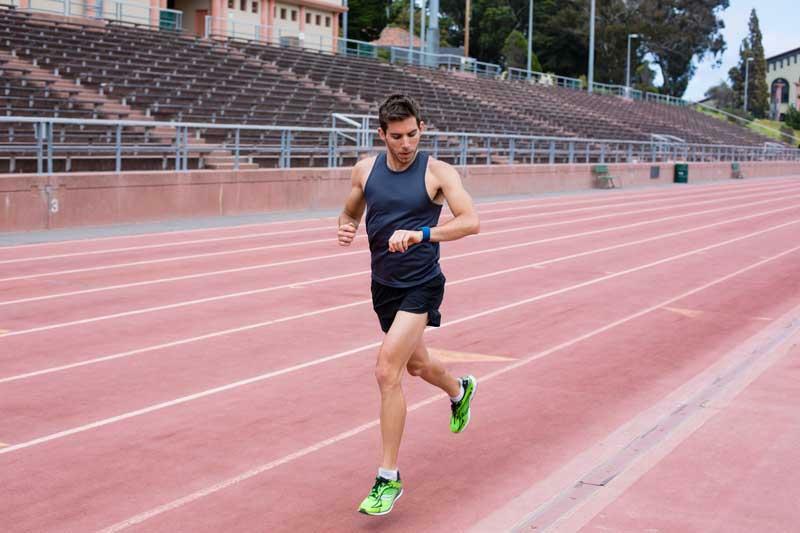 But how accurate is Fitbit — and if it isn't perfect, how close does it get? To understand exactly how accurate Fitbits are, we’re going to take a close look at five things they measure: steps, calories, floors, sleep, and heart rate. Have you ever wondered how something strapped to your wrist could possibly measure something that your legs are doing? Here’s the short answer: it doesn’t. At least, not directly. Instead, Fitbit trackers compile a bunch of data and run it through an algorithm to provide an estimation of steps. Inside your Fitbit tracker is a three-axis accelerometer which measures how you move your body and arm. Information about frequency, duration, intensity, and patterns of movement is then filtered through a complex algorithm. If movement data meets a particular threshold, then a step is counted. This is how your Fitbit is able to count your steps as you move forward to walk, but not count steps as you sit in your car and drive through traffic. But this algorithm might lead to accidentally counting steps, or missing the steps you take. Here are a few things that might interfere with your step counter’s accuracy. If you walk while pushing a stroller or a cart, your Fitbit might not register some of the steps you take. Fitbits measure the impact of each step you take. If you’re walking on a soft surface such as thick carpeting, it might not count some steps. Moving your arms while otherwise stationary isn’t enough to incorrectly add steps, but it does increase the probability of doing so. 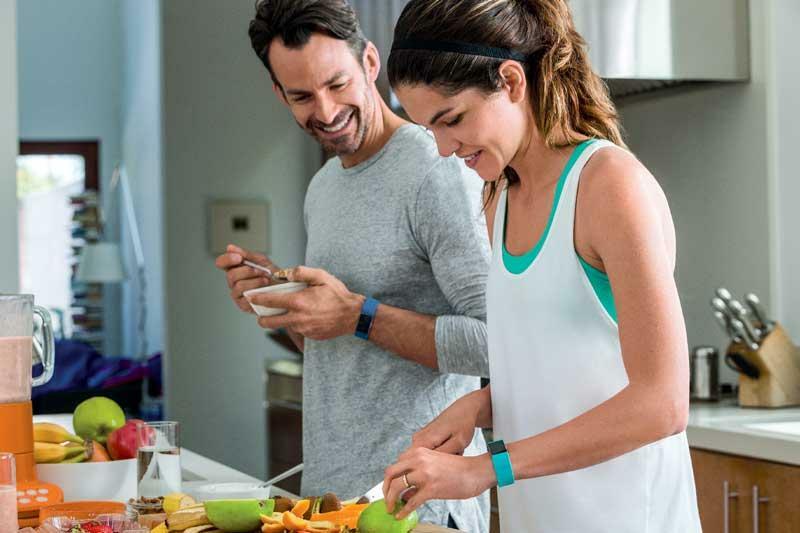 If you are cooking, using tools, or doing something else that requires you to move your arms, your Fitbit might inaccurately count steps. While driving a car or riding a bike, bumpy roads can log steps that you didn’t actually take. In theory, all of these activities should add or subtract a negligible number of steps over the course of the day. But how accurate is Fitbit’s step tracking in the real world? 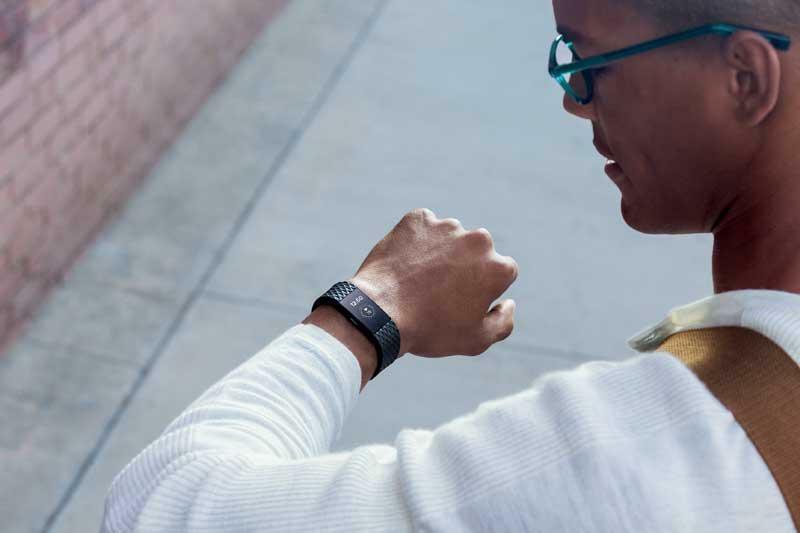 The researchers tested four devices: the Fitbit One, Fitbit Zip, Fitbit Flex, and Jawbone UP24. They tracked 30 adults who used the devices as they moved and exercised. They found that the devices are very accurate when the research subjects were sedentary, but became less accurate the more vigorously they moved. In total, the devices got within 4% of an accurate step count. Step Tracking Accuracy Verdict: Not perfect, but it’s about as good as the best step tracking equipment available to scientists. Counting steps is one thing, but how does your Fitbit measure a far more difficult-to-track metric: the number of calories you burn in a day? Fitbit estimates calories burned by first calculating your basal metabolic rate (BMR). This is the rate at which you naturally burn calories while you’re perfectly sedentary, whether or not you exercise. Your BMR is based on your gender, age, height, and weight. Then Fitbit adds the number of number of calories you burned based on the steps you took through the day, plus any exercise you logged using the Fitbit app. The study that examined step tracking accuracy also looked at estimated calorie burn. Researchers found that the fitness trackers predicted energy expenditure within 8% while the research subjects were sedentary — but the trackers’ accuracy degraded when people started moving. They overestimated energy expenditure by 16-40% while people were walking around. While people were doing regular household activities, they underestimated by 27-34%. Interestingly, the Fitbit Flex performed much better during household activity, getting it right within 8%. Another study in 2015, called “Validation of the Fitbit Wireless Activity Tracker for Prediction of Energy Expenditure,” examined Fitbit’s calorie-burning accuracy. The researchers rounded up 20 participants, 10 male and 10 female. They had them go through several different physical activities, including raking, walking up stairs, golfing, and carrying groceries. In addition to making participants wear a Fitbit Classic, the researchers hooked them up to a Oxycon gas analyzer, which is a high-tech medical tool for accurately measuring how much energy people burn during exercise. The results? The researchers discovered that the Fitbit “significantly underestimates” overall energy expenditure, but it underestimates calorie burning with some activities more than others. The activities in which the Fitbit gave an especially low, inaccurate,number included cycling, laundry, raking, and walking on a treadmill. On the other hand, it actually overestimated energy expenditure for carrying groceries. The Fitbit most accurately estimated the energy expenditure of golfing. So whenever you check out your Fitbit stats, just know that the listed number of calories burned is probably lower than what you really burned. Calories Burned Accuracy Verdict: Not very accurate, but the Fitbit Flex is the best of the bunch. Fitbits allegedly measure how many “floors” you climbed. Fitbits allegedly measure how many "floors" you've climbed using an altimeter, which measures when air pressure decreases slightly. Your tracker adds one floor every time you increase your elevation by 10 feet while moving, which is the average distance between two floors. If the weather is mostly stable, Fitbit’s measurements can be accurate. However, the internal altimeter can’t tell the difference between a pressure change due to a higher altitude or a weather event, such as a sudden gust of wind. This has been known to add extra floors to your daily count. Floor Tracking Accuracy Verdict: It can be accurate, but might register false positives during certain weather conditions. Fitbits track your sleep based on your movement at night. If you don’t move at all, your tracker assumes you’ve fallen asleep. If you move without taking any steps, it assumes that you’re restless. And if you are walking around, it assumes (quite sensibly) that you’re awake. 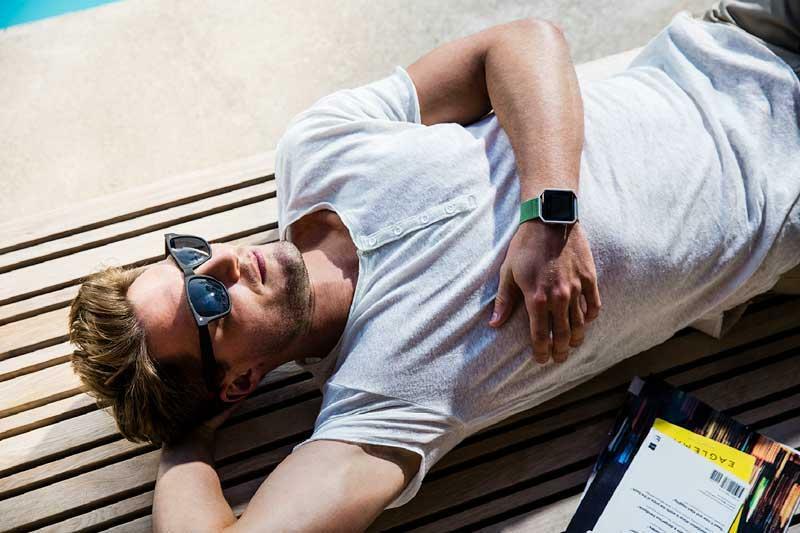 There are three interesting facts to consider when judging Fitbit’s sleep tracking function. First, the accuracy of Fitbit’s sleep tracking was studied in 2012, and the results are not positive. The study found that the Fitbit was frequently innaccurate. It often said that the research subjects were awake when they were actually asleep, and therefore overestimated sleep duration and quality. Second, Fitbit is the subject of a class action lawsuit, first filed in 2015, that claims that the sleep tracking function doesn’t perform as advertised. Fitbit says that this lawsuit is without merit. Third, Fitbit received help earlier this year from sleep scientists from Stanford, Johns Hopkins, and the University of Arizona in order to improve the accuracy of sleep tracking. Step Tracking Accuracy Verdict: It’s difficult to say. Fitbit has revamped its sleep tracking feature since the 2012 study and the 2015 lawsuit. It’s possible the upgrades have improved the feature and erased previous flaws, but the new version hasn’t yet been independently tested. Fitbit has four devices that track heart rate: the Fitbit Charge HR, the Fitbit Charge 2, the Fitbit Blaze, and the Fitbit Surge. These devices use PurePulse technology to measure your pulse. PurePulse is Fitbit’s version of optical heart rate monitoring, in which flashing lights located on the bottom of the device measure blood flow. In order to get the most accurate results, Fitbit recommends that users wear the device a few inches above the wrist. Fitbit’s claims about heart rate accuracy also appear to have put them in legal trouble. Three plaintiffs filed a class action lawsuit (completely separate from the sleep tracking lawsuit) that claims PurePulse is inaccurate. A study commissioned by the plaintiffs’ legal team concluded, “Fitbit PurePulse trackers do not provide a valid measure of the user’s heart rate and cannot be used to provide a meaningful estimate of a user’s heart rate.” They found that the Charge HR was off by an average of 15.5 bpm, and the Surge was off by an average of 22.8 bpm. Fitbit stands by its PurePulse Technology. Additionally, a test by Consumer Reports contradicts the claims of the lawsuit. Researchers made a total of 64 heart rate measurements on two test subjects: one male and one female. The researchers compared the results against the Polar H7 ECG, a chest strap heart rate monitor. In light of this test, which confirmed tests the magazine performed when they first reviewed the devices, Consumer Reports continues to recommend both the Charge HR and the Surge. Heart Rate Accuracy Verdict: It’s tough to make a firm call in light of contradictory research. It will be interesting to see what comes of the Fitbit lawsuit. However, Consumer Reports has built a reputation on providing accurate information and unbiased reviews over the last 80 years, so it’s generally safe to trust their judgement. Unless the ongoing lawsuit uncovers something wildly amiss with PurePulse technology, it’s reasonable to assume that the Fitbit heart rate monitors are accurate. How Does Fitbit Compare Against Other Fitness Trackers? A few studies have compared the accuracy of Fitbit to other fitness trackers. According to the study published in JAMA Cardiology, the Apple Watch is more accurate at calculating heart rate than the Fitbit Charge HR. The study looked at 50 adults and tested four devices: the Fitbit Charge HR, Apple Watch, Mio Alpha, and Basis Peak. While the Mio Alpha and Fitbit Charge HR tied for second place, the Apple Watch was found to be the closest to medical heart rate technology. It achieved an impressive 90% accuracy. According to the Human Performance Laboratory paper, the Fitbit Flex is more accurate at counting steps than the Jawbone UP24. When compared to manual step counting, the Fitbit came within 10% of the actual number of steps that the research subjects took. On the other hand, the Jawbone UP24 underestimated steps by as much as 34%. Of course, phones have been counting steps for years before fitness trackers became popular. So how does the iPhone’s fitness tracking features compare to the Fitbit? Eddie Smith, an actuary from Greenville, North Carolina, tested the two step counters against each other for several months. 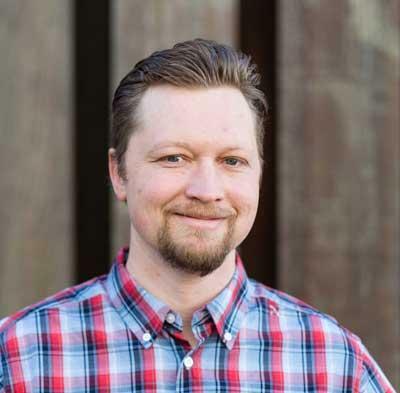 From December 23, 2014, to March 23, 2015, Smith discovered that the Fitbit logged 509,482 steps and 1,009 floors, while the iPhone logged 506,909 steps and 735 floors. The steps matched closely, but the Fitbit had counted significantly more floors. After further testing, Smith concluded that this difference was probably due to how the two devices deal with steep terrain. The Fitbit uses its barometer to detect elevation changes, so it counts walking up steep terrain as “floors.” On the other hand, the iPhone measures floors when you literally walk up steps. On the whole, Fitbit trackers are accurate enough for anyone who wants a rough idea of their fitness performance. While Fitbits are not perfectly precise, they give you enough information to let you know whether your daily steps are increasing or decreasing, your approximate sleep quality, what your resting heart rate is, and where you travel during your runs. Fitbits don’t exactly hit the bull’s-eye, but they could help you improve your fitness. While Fitbits are not perfectly precise, they give you enough information to improve your fitness.